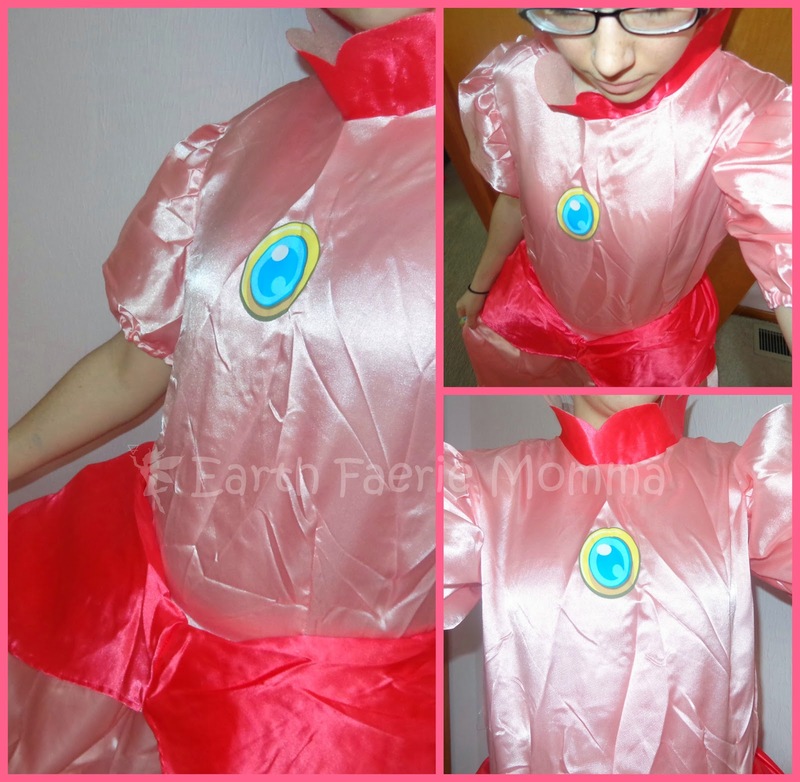 The gown is 2-tone pink made of polyester with velcro in the back and elastic around the waist. It reaches the floor and a blue sapphire is printed on the front. There is a lining of mesh and a soft polyester slip (so your skin isn’t right against the mesh).The sleeves are puffy with elastic at the bottoms. The crown is soft and also made of polyester with an elastic band to keep it in place. As you can see in the pictures I haven't gotten the wrinkles out yet. I'm going to try a gentle soak in warm water and air dry since it's hand wash only. I got a size small and it fits me well. I like that there is slip against my legs. It helps to keep the mesh from scratching and sticking to my legs. The velcro seems a little weak. A zipper or larger velcro would have been nice to keep the back together. I found a peach colored tank top to wear underneath. I'm 5’ 5” and the gown is at my ankles, which is perfect for me. It doesn't drag on the ground but it’s still nice and long. I found that the gloves were way too small for me (too short in the fingers). Overall, I love this costume. 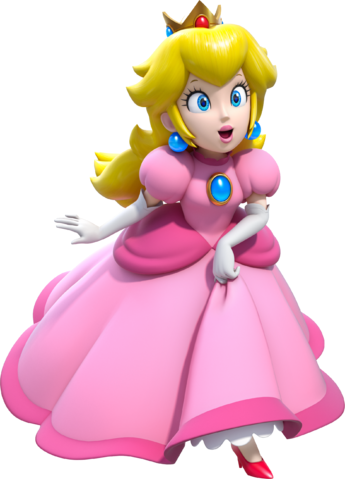 I’m excited to dress-up as Princess Peach. Now I need to find myself a blonde wig and a Mario!